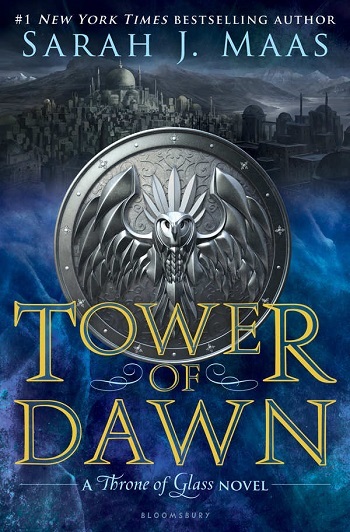 When I first heard that Chaol was going to have his own book, Tower of Dawn, I was mildly intrigued, but not certain it would captivate me the same way Aelin’s story has. I was wrong. Sarah J. Maas is such a phenomenal writer that I’m pretty sure she could write about a paper bag and I’d still somehow find myself obsessed. She makes me laugh, cry, and sometimes I do both at the same time when I’m reading her beautiful stories. I loved being able to get a new look into Chaol’s character and deeper understanding of the Valg. I was immediately drawn into the story and I couldn’t put it down! It was a whole new perspective on a character I never imagined would somehow find himself to his own book, but a pleasant surprise in the end! Tower of Dawn had me ready to reread all the previous books in the Throne of Glass series because I just couldn’t let go of this world once I was back in it. I am now more than ready to finally see what happens when Aelin, Chaol, and Dorian reunite in book #7. Let the waiting begin! Also, if you’re in need of a fix while waiting for book #7, definitely check out Maas’ A Court of Thorns and Roses series! FIVE STARS for Sarah J. Maas’ Tower of Dawn! Sarah J. Maas is the #1 New York Times bestselling author of the Throne of Glass series and A Court of Thorns and Roses series, as well as a USA Today and international bestselling author. Sarah wrote the first incarnation of the Throne of Glass series when she was just sixteen, and it has now sold in thirty-five languages. A New York native, Sarah currently lives in Pennsylvania with her husband and dog. Jordan reviewed her personal copy of Tower of Dawn (Throne of Glass #6) by Sarah J. Maas for this post.